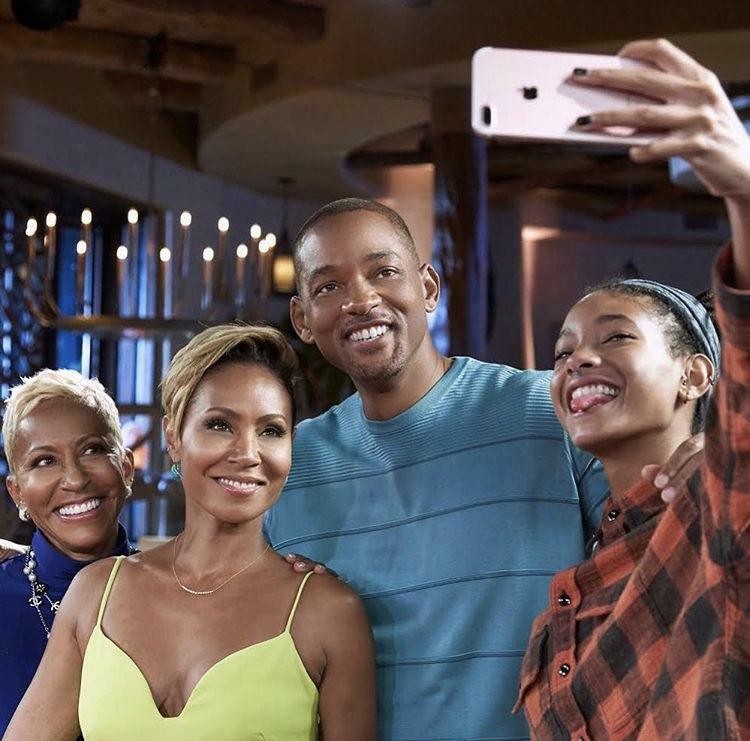 Y’all, I just watched part one of #JadaPinkettSmith’s #RedTableTalk with #WillSmith as the guest and the tea definitely runneth over. First and foremost, the mix of emotions you’ll feel when watching this episode including laughter, inspiration, and relatabilty to name a few, are on another level! Will had a way of bringing a lot of charisma and humor to the “table” while also being deep AF. Issa whole gift. Anyhow, one of the craziest things we learned is that Will did the most to try and get set up with Jada, and when that day came, the guy who was gonna set him up was with a woman who had Will like “Who is that? !” Long story short—the woman ended up being his then future wife, #ShereeFletcher. Y’all! He and Jada saw each other here and there but never really talked, talked. Fast forward to Will and Sheree being married with a kid, he and Jada crossed paths again and actually had a conversation which brought Will to a realization. He says the next night he and Sheree went to dinner and he realized he was with the person who he wasn’t supposed to be with but would NEVER divorce her so it would never come to fruition. Jada and Will made it clear that they connected, but definitely did not have an affair. Will went on about his life, and Sheree is the one who filed for divorce, on Valentine’s Day. He told her “no” regarding a divorce and she basically asked him that he’s going to make someone who doesn’t love him stay married to him? According to Will, that statement is what made him accept what was. The next day, he called Jada and basically told her that she was is. Jada said “okay!” Prior to that, Jada had actually just moved to Baltimore and bought a farm, because she didn’t wanna do the “Hollywood” life. She ended up moving and getting pregnant two years later, but surprisingly, she never ever wanted to get married. Watch the full episode below to see how their story unfolded.